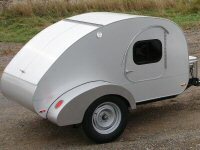 Teardrops n Tiny Travel Trailers • View topic - Any Eastern Sierra Tears around? Any Eastern Sierra Tears around? Moving from San Diego to Bishop soon. Anyone in the 395 area? Only one I knew about was Gage - RIP. Seen a few passing by on 395 but never met up with anyone yet. With 75 campgrounds and hundred of BLM acres within 50 miles, it is a camping paradise, one would think a few have traveled in the area at least.